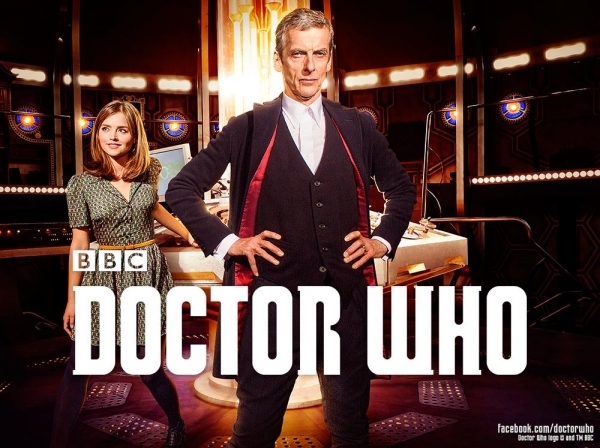 This entry was posted on Friday, August 29th, 2014 at 10:45 am	and tagged with Clara Oswald, Doctor Who, Jenna Coleman, Peter Capaldi, Season 8, The New Doctor and posted in Television, Video. You can follow any responses to this entry through the RSS 2.0 feed. « A Feeble Attempt at Humor? I hope I’m not repeating anything from my previous comment on this subject, but I instantly love Capaldi in this role. His interplay with Clara is already deeper and more substantial than anything that occurred between Matt Smith and his companions. For the record, I think Matt Smith was terrific and that he is an excellent actor, but sometimes his Doctor seemed like a hipster college professor hanging out with his favorite students. Avoiding Deep Breath spoilers for the benefit of anyone who hasn’t seen it, there was one moment with a door not being opened that really sold the “unpredictable” element of the new Doctor. So far I’m quite enthused about series 8’s potential. Yes! I absolutely agree. I even heard Matt Smith say in an interview that he saw his Doctor having an air of a professor about him, and for all that I enjoyed 11 and Clara’s relationship, it did have an air of first date artificiality for a lot of their time together. This season I see the potential for more of a deep abiding friendship and mentorship (on both sides) which should be really interesting. That scene is the one that really made me sit up and really pay attention, because I just wasn’t sure what was going to happen. This time it had more to do with character than any plot devices.